Less than a year away from the next United States Presidential Election, Americans are talking about the issues that matter to them and the things that they hope the presidential candidates will speak about. One of those topics is the reform of the criminal justice system. Social movements such as Black Lives Matter have shined a light on the alarming amount of police brutality that takes place in our nation. Many of the presidential candidates have spoken about reducing the severity of punishment for petty crimes and attempting to decrease the number of Americans who are incarcerated. 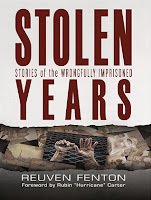 In his new book, Stolen Years: Stories of the Wrongfully Imprisoned, author and New York Post reporter Reuven Fenton delves into another equally important aspect of this conversation. 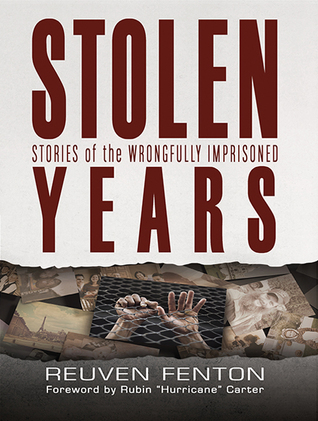 In the book, Fenton tells the stories of ten individuals who were tried and incarcerated for crimes they did not commit. Through these personal recollections, readers gain insight into the alarming lengths that investigators and prosecutors will go to for a conviction. Many of the people who are featured in this work were simply in the wrong place at the wrong time. Fenton writes of the grueling interrogation techniques meant to eat away at a person until they confess. Several of the people featured here were fed confessions that they then repeated simply so that they could escape the arduous process. As I worked my way through each of the short stories, I was shocked to learn how easy it is for a person to slip through the cracks of the justice system. Whether by police oversight of undeniable evidence or an overeager prosecutor willing to spin a narrative so that their version of the events seems the most correct, many people have had large parts of their lives stolen from them. Can you imagine sitting in a confined cell on death row for 15-20 years, all while knowing that you are innocent? The bureaucracy involved in overturning a false conviction can often be even more trying than the events leading up to imprisonment. These personal stories combined with exhaustive research illuminate the absurdity of parts of the system. There is no denying the importance of police and the criminal justice system. Most of the men and women who put their lives on the line to protect and serve deserve our utmost respect and gratitude. Fenton never approaches these stories with a biased disdain for law enforcement. Rather, he shows how the system is not a flawless entity. These mistakes affect people just like you and I. The ramifications of wrongful convictions linger in their lives long after redemption and release. With this sympathetic, informational, and consistently engaging portrait of injustice, Fenton gives a voice to the men and women whose stories deserve to be part of our important national dialogue. For more information visit Amazon and GoodReads. 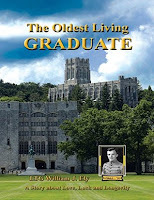 This review is part of a blog tour sponsored by TLC Book Tours. Check out the full tour schedule here. "How very like a dream this all is." 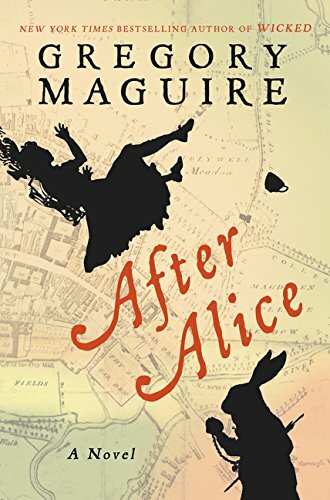 Gregory Maguire, author of the bestselling novel Wicked, is back with his latest novel, a re-imagining of Lewis Carroll's classic Alice in Wonderland. Whether you've read Carroll's novel or seen any of the numerous film adaptations of the work, you are probably familiar with Alice's adventures in the strange Wonderland. But what about Alice's family? How did they cope with her mysterious disappearance? And what kind of impact did Alice's presence in Wonderland have on all of those curious characters that she came across? As he's done in most of his other novels, Gregory Maguire uses After Alice to fill in the gaps and answer some of these questions. Young Ada is around the same age as her neighbor Alice. She wears an unwieldy contraption that is intended to correct her posture, but the device only accentuates her awkward personality and deters many potential playmates. Alice, however, has never seemed to mind Ada. Whether Alice truly enjoys Ada's company or is simply too preoccupied with her own fantasies to notice the other girl's presence, she is the closest thing to a friend that Ada has. One day, Ada is asked to take some homemade marmalade to Alice's house. As she wanders into her friend's yard, she sees a peculiar sight. A small white rabbit adorned in a waistcoat and clutching a pocket watch stands before her. As the animal runs off, Ada follows. 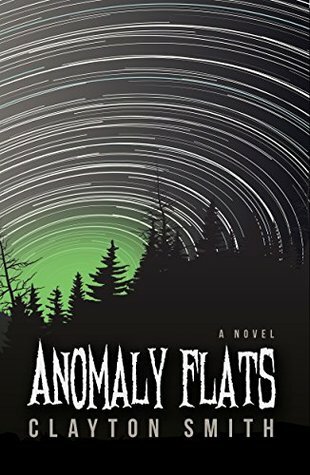 She suddenly falls through a rabbit hole and is thrust into a crazy world populated by odd characters. As the novel progresses, Ada travels a few steps behind Alice's famed journey and aims to reconnect with her friend and find her way back home. Parallel to this is the story of Alice's older sister Lydia. Lydia is supposed to be keeping watch of her sister, when the girl descends into Wonderland. She isn't worried at first. Alice is notorious for exploring their grounds. But when Ada too is noticed to be missing, Lydia begins to worry about the two girls. She hesitates to interrupt her father who is meeting with Charles Darwin. When Ada's housemaid comes looking for the girl, Lydia enlists her help. This is my first novel by Gregory Maguire. After the high praises of Wicked and his other works, I was eager to get my hands on this one. Maguire's writing style takes a bit of time to get used to. He writes in a way that seems to hearken back to the Victorian era that this story occurs in. The entire novel is approached with a high-brow air of superiority that initially caught me off guard. While this could certainly be an attempt to mimic Lewis Carroll's prose, it ends up coming off more as an unnecessarily pretentious device that does little to enhance the story. The story itself is equally confounding. The parts that focus on Lydia offer many promising insights about a young woman's role and expectations in Victorian Era England. By introducing Charles Darwin as a guest to the family's residence, Maguire also explores issues of science, evolution, and race. This narrative could easily have been fleshed out into a fascinating novel on its own. However, by placing this thread alongside the surprisingly less vibrant Wonderland narrative, Maguire ultimately does not have enough book to adequately devote attention to either plot. In the end, After Alice is a novel that is full of interesting elements that never reach a cohesively satisfying whole.